Marketers believe they can do better to connect with younger Australians, but don’t have a definitive solution as to how. As agencies, we cite the fast changes in technology and myriad of social media platforms, and turn to the latest acronym to bridge the gap between what we think young people want and what we’re currently delivering. And who could blame us? When we’re focused on the day-to-day, delivering on last minute deadlines, we forget to take a step back and look around. Here’s the situation I see unfolding. Agencies and brands are struggling to stand out from the crowd when marketing to young Australians. It’s a race to recreate the most talked-about trends and keep up with ‘cool’. There’s more depth to youth culture than replicating the latest trends and the brands who understand this are best placed to connect with today’s young people. The bare minimum brands can do to differentiate themselves from the pack is through their casting, though we’re still struggling to accurately represent modern young people. From the 2016 ABS census, more than one-fifth (21 per cent) of Australians spoke a language other than English at home. After English, the next most common languages spoken at home were Mandarin, Arabic, Cantonese, and Vietnamese. On top of that, the proportion of people born in China and India has increased since 2011 (from 6.0 per cent to 8.3 per cent, and 5.6 per cent to 7.4 per cent, respectively). Nevertheless the social media accounts of mainstream brands like Myer, Cotton On, General Pants and The Iconic choose to reject this all together. There’s an opportunity for one of these brands to step up, stand out from the pack and keep up with changing times. If you’re casting diverse talent in your campaigns, you’re halfway there. But, given that this audience has a gift for sniffing out authenticity, in order to really connect you’ll need to introduce fresh ideas earlier on in the creative process. Young people are identifying with cultural trends beyond the traditional ‘Australian archetypes’, building on our nation’s diverse backgrounds and creating new sub-cultures that reﬂect our various identities within modern Australia. This is an incredible opportunity for brands to win share of mind with trend-setting millennials by contributing to the change and growing their proﬁts. Working with someone already embedded in the culture gives your brand a fast-tracked route to authentic cultural credibility. These partnerships happen in spades overseas (US & UK) though in Australia we’re still struggling to see the opportunity in front of us. Drake is a global superstar and urban musician at the top of his (and ‘the’) game. While we’re aware of this tracks, something that ﬂies under the radar is his ‘David & Goliath’ partnership strategy, which allows him to be a global brand while still maintaining his connection to underground cultural trends around the world. His 2017 album More Lifedebuted atop the Billboard200 and set a streaming record, becoming the highest ever streamed album in 24 hours. The album features a selection of homegrown British grime rappers who were largely unknown to the rest of the world at the time. 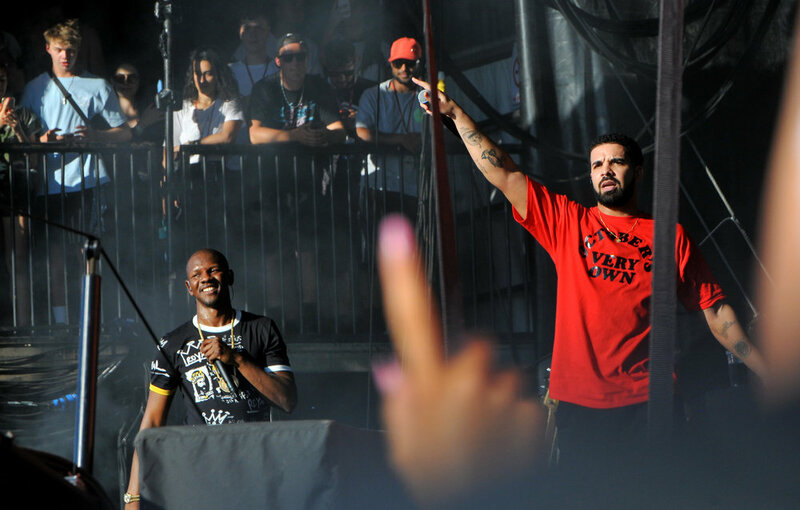 Over the album’s weekend launch, Spotify shared that “Giggs—one of the grime rappers featured heavily on Drake’s new album—saw a 146% increase in streams from US listeners. Skepta and Jorja Smith, two other British artists in the same genre who also appear on the album, saw more modest increases (21% and 12%, respectively).” These numbers are obviously an eﬀect of Drake’s reach, though what’s less obvious is the cultural beneﬁt to Drake. Being incredibly ‘mainstream’ means he cannot rely on himself to remain part of underground cultural movements. He has a team that scouts for cultural trends, and picks his musical partnerships with care as to maintain his association with what’s on trend. An incredible nod to the times we’re living in is Louis Vuitton’s latest partnership decisions. Before Louis Vuitton appointed streetwear mogul Virgil Abloh as Men's Artistic Director, the French fashion house partnered with Drake to release the track ‘Signs’ in the Men’s Spring-Summer 2018 fashion show. A pillar of the traditional fashion world, better known for luxury than their association with urban music, picked up on a global trend that has been echoing around the world: inviting creatives that matter in today's cultural zeitgeist into their creative process. If your brand is tapping into urban culture, work with the urban creatives that are making waves in their lane as they’ll educate you and share ideas and opportunities you wouldn’t have dreamt of yourself. Brands partnering with progressive creatives is nothing new, since the days of the Run DMC x Adidas partnership off the back of the song ‘My Adidas’ in 1986, brands have been inviting trendsetters into the boardroom to help plan for and deliver hype - though we’re yet to take full advantage of the beneﬁts here in Australia. Side note to brands targeting young people, here’s an easy way to see if you’re on the right track… ask where your agency creative ideas are coming from. If they’re coming from a team of middle-aged white men locked in a room (not an exaggeration), you’re going to have problems. If they’re inspired by talking to your target audience, you’re already doing better than most.